Under-five Mortality Rate (2015): 28 deaths per 1,000 live births (ranked 73 of 193). Source: UNICEF SOWC Report, 2016. Human Development Index (HDI) (2014): 0.668 (ranked 115 of 188). Source: UNDP, Human Development Report, 2015. ChildFund began its work in the Philippines in 1971, partnering first with religious organisations, and then with communities. The partnership model progressed and evolved over the years. Now, ChildFund partners with people’s organisations, many of which have federated. ChildFund Philippines takes pride in its ability to develop effective and practical approaches that mobilize children and youth towards positive change in their lives and in their communities. ChildFund Philippines works with local partner organisations, implementing programmes in the areas of education, health, child protection, livelihoods, and fostering an environment where there is a broad constituency that supports the well-being, rights and sense of citizenship of children, youth and their families. We invest $8 million annually in projects that directly benefit 50,000 children through sponsorship and grant projects. Our community-based approach allows our work to indirectly benefit 250,000 more Filipinos. 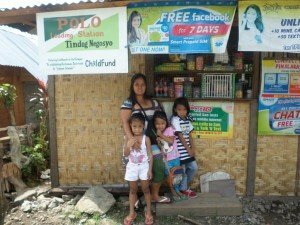 ChildFund Philippines gives primacy to the views of Filipino children about poverty, particularly their experiences of deprivation, exclusion and vulnerability (DEV), and takes a child-focused approach to designing and implementing child survival, protection and development programmes. The simple truth about poverty is that children experience it differently than adults. Children’s experiences of poverty also vary depending on where they are across the different life stages, as well as their geographic location, and economic position reinforced by socio-cultural ascriptions. For infants and children ages 0-5, poverty is manifested in high maternal deaths, high prevalence of child malnutrition, and delayed psychosocial and cognitive development. Children ages 6-14 experience DEV by dropping out from school, generating poor learning outcomes, and having low self-esteem. Lack of basic education stalls children’s development and makes them vulnerable to child labour, human trafficking and abuse, among other dangers. Most youth ages 15-24 have limited education and skills, and are vulnerable to unsafe and exploitative work conditions. Limited acquisition of life skills leaves them susceptible to adverse external influences, affecting quality of life decisions, particularly their productive potential, economic capacity, psychological and personality development, and sexual and reproductive health. Foster a community of stakeholders and partners committed to children’s rights, protection, participation, well-being and child-friendly governance. Approximately 23,134 young children were prepared to enter formal school through their active participation in various sessions of Supervised Neighbourhood Play (SNP). Learning sessions on Safe Motherhood, Child Nutrition, Effective Parenting, and Positive Discipline among others had been continuously provided to mothers and caregivers. Application of knowledge gained from the learning sessions is evident in the results of M&E Level 2 where 97 percent of parents/caregivers participate meaningfully in decision-making on behalf of the child. Participant count report indicated a total of 47,371 infants and young children, and 46,096 parents/ caregivers reached through several programme interventions. Improvement in children’s reading ability and performance in school has been observed resulting from the peer tutorials sessions that have continued to help academically challenged students cope with different learning requirements in school. It was also observed that the tutees have eventually become peer tutors themselves. Increased confidence is observed in children who continuously participate in child development sessions; this is evident in children as they are able to articulate and lead discussions on different topics affecting them, and serve as child representatives in locally mandated bodies such as the Local Council for the Protection of Children and the School Governing Council, and the NAPC at the National level. This year, approximately 14,425 children have actively participated in various sessions. Around 10,220 pupils at risk of dropping out were provided the socialized educational assistance to augment school needs. This was given in different forms such as payment of school authorized fees, uniforms, transportation, and other school requirements. Overall, a total of 117,908 children were reached in FY15 through various interventions provided. Support to enhance technical skills of the youth has been consistently provided. Around 3,659 youth were trained on food processing, refrigeration, electrical, and livelihood, and organisational, financial, and project management, among others. Some local partners facilitated acquisition of equipment to be utilized for hands-on training while at the same time working closely with the Department of Labour and Employment, and the TESDA. Regular support for relevant activities geared towards increased access to youth-friendly sexual and reproductive health services were also provided. Youth trained facilitators on ASRH have been active in sharing what they have learned with their peers, where topics included understanding the adolescent self in other adolescents, and fighting vulnerabilities through life skills. Youth associations and their leaders were equipped to strengthen advocacy and lobbying skills. A total of 4,170 youth have been actively engaged to participate in various activities that enable them to work together, share opinions, and plan how to contribute to positive change in their respective communities. Activities include among others, DRRM orientation and planning for youth-led DRR, tree planning activities, forums, and youth representation on local mandated bodies. Eighteen youth associations were awarded accreditation certificates to become members of local bodies such as the Local Council for the Protection of Children, and the Local Disaster Risk Reduction and Management Committees. Youth leaders were also recognized and invited to participate in regional level consultations on community-based disaster risk reduction initiatives. Overall, a total of 71,899 youth ages 15-24 were reached in FY15 through different interventions that aim to prepare them for employment and entrepreneurship, develop life skills, be involved in civic activities, and be agents of change. The issues and challenges in the Philippines affecting children and youth across the different life stages emphasize the primacy of child protection, and the need to reinforce this with the promotion of child rights, child participation and youth leadership, as well as building personal competencies and community partnerships to help address child poverty. ChildFund also focuses on raising the capacities of school management bodies, promoting peer education, introducing child-friendly teaching methodologies, child rights and child protection, providing socialized education assistance, and building children’s agency. This advocacy creates “Child-Friendly Schools”, establishing school-based child protection mechanisms and ensuring that these are functional, and providing financial education for young children. 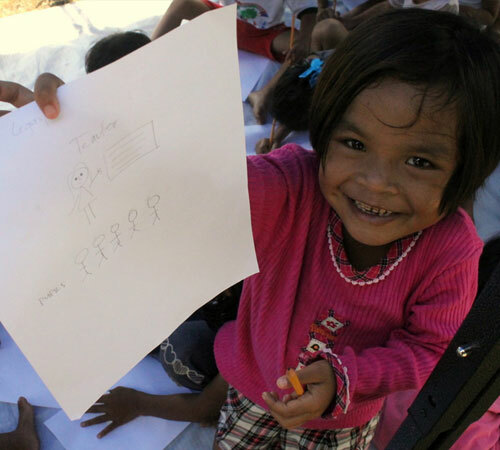 ChildFund also promotes inclusive and safe education for Filipino children. ChildFund programmes ensure that all school-age children are in school and safe in a child-friendly environment, thereby increasing percentage of children completing basic education, improving learning outcomes, and developing children’s confidence. The Philippines is a signatory to the UN Convention on the Rights of Persons with Disabilities (UNCRPD), which has been ratified and entered into force in 2007 provided additional rights and entitlements to persons (including children) with disabilities. However, despite our assent to this convention, many of the Philippines’ 14 million persons with disabilities and their families continue to experience human rights violations in one form or another. 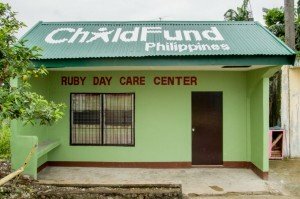 ChildFund Philippines’ EMBRACE (Enhancing local capacities to make better communities for children and youth with disabilities) Project works with duty-bearers, children, parents, towards the full protection and inclusion of children and youth with disabilities. The project works to develop and enhance capacities of individuals (children and youth with disabilities together with other children and parents) to promote and protect the rights of the children and youth with disabilities. It aims to achieve, initially within the city of Bacolod, full implementation of the UN Convention on the Rights of the Child and the UN Convention on the Rights of Persons with Disabilities. This is achieved through advocacy for the enactment of local laws towards the full protection and inclusion of children and youth with disabilities, awareness-raising, and training and education. The project builds capacities of children and youth with disabilities to protect themselves and to participate in matters affecting their lives through advocacy planning, training and advocacy campaigns targeting duty-bearers. ChildFund and our Local Partner conduct awareness-raising and advocacy campaigns led by children and youth with disabilities; together with other youth and parents/caregivers using various approaches. It is also piloting a “Whistle for Protection” campaign for children and youth with disabilities in schools and communities. Finally, the project also works to build the capacity of Child Protection Groups to ensure reporting mechanisms and referral pathways in schools and communities are enforced. AWE (Access to Water and ECD Services of Pre-School Children in Mindanao) Project: The AWE Project is an Early Childhood Development (ECD) programme that integrates water and sanitation to ensure that pre-school aged children have improved health and relevant learning and developmental milestones that will prepare them formal schooling. It has served 3,953 infants and young children through the established ECD centres and food gardens. Vegetable seedlings provided to the families have contributed to ensuring food security in the homes. Food gardens have also become additional source of income to some families. Also, the installation of water facilities in ECD centres contributed to safer learning environment for young children. In the province of Zamboanga del Norte, at least 400 pupils enrolled in two schools no longer have to tread at least a kilometre of unpaved road to fetch their daily supply of water, which means they have more concentrated time for daily lessons and other academic activities. READ (Reading Skills in Mindanao) Project: The READ Project is aimed at having school children in the target provinces in Mindanao to acquire appropriate literacy and numeracy skills; focus is on improving reading skills. Overall, it has reached 4,687 children from different interventions that include improving accessibility of children to reading and other learning materials; conduct of reading assessment to non-readers; training of teachers on development-appropriate and child-friendly methodologies aimed at providing quality and inclusive education; and conduct of peer tutoring. Major accomplishments of the project include training 576 peer mentors on peer tutoring, 1326 parents/teachers were capacitated to support a community-managed education, while 444 families have improved KAS on maternal and child care and nutrition, positive discipline, child rights, parenting, and positive deviance inquiry. Out of the 4,687 children, 88% have improved reading skills. This resulted from the collective efforts to empower parents and caregivers to create a safe and supportive home environment; capacitating teachers to deliver teaching methodologies that are learner-oriented while improving the physical learning environment; and collaborating with the duty-bearers to transform the larger community to be more responsive to the needs of the developing children. Mobile SNP project: Launched in Pili, Camarines Sur. ChildFund Philippines, through its local partner, has provided 1 unit multi-cab vehicle equipped with various accessories and instructional materials (i.e. 1 set sound system, 1 pc. Foldable tent, 1 unit television, big books, SNP kits) to the Local Government Unit (LGU) to support implementation of the mobile SNP. All expenses related to the actual implementation will be subsidized by the LGU as part of its commitment stipulated in the MOA. Forty local children’s storybooks produced. These children’s stories carry the uniqueness of each of the five provinces. It served as the springboard in formulating 40 modules of enrichment activities for the Summer Reading Camp. It was observed that learners can relate to and engage easily during the sessions since they are familiar with the context of the stories. Forty Beginning Reading Instruction Modules were developed. A total of 126 teachers were trained on Beginning Reading instruction. Teachers from the identified partner schools were trained with techniques in teaching reading to young learners and learners with reading challenges. Eighty-nine of the trained teachers facilitated the reading camp. A total of 499 children (62% boys, 38% girls) identified as non-readers have participated in the summer reading camp. These children were pre-assessed to determine their reading competency level. Teachers observed that on the second week of the Summer Reading Camp, learners who used to have difficulties identifying the letters that compose their name, can already write their names with ease and on the 3rd week, the learners can already identify and blend the sounds of the letter, thereby enabling them to read the words. They have also recognized the importance of using visually-appealing and interactive learning aids in gaining and sustaining the interest of children as these kinds of materials entice active learning. Eighty percent of children that participated in the project have improved reading competencies (in terms of book and print awareness, and mastery of the alphabet). Local partners have sustained partnerships with the government agencies; local government units including relevant mandated bodies have resulted to better working relationships with them. LPs were able to tap them as resource persons, provide counterpart for the projects, and serve as strong advocates to improve programmes/projects for the protection and welfare of children. Strengthened the capacities of 21 local partners on governance through boardmanship training, disaster preparedness, financial management, and resource mobilization among others. Local Partners were also engaged to participate in learning forums facilitated by ChildFund Philippines and upon invitation from other organisations. 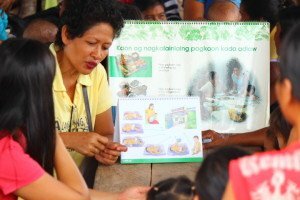 ChildFund Philippines is actively involved in different networks and have served as resource person on child protection. The Philippines continues to face key challenges in generating national wealth and redistributing resources and results equitably. Social inequality remains a salient issue, creating persistent social divides over the distribution of opportunity and outcomes in the Philippines, which, if left to fester, would further widen the societal fissures along geographic, ethnic, socioeconomic and gender lines, as well as across the life stage continuum. One facet of inequality is the highly uneven distribution of socio-economic opportunities in the country, such that some regions and provinces in the Philippines are poorer than others and have remained as such over time. There seem to be ‘geographies of poverty’ in the country, with six regions in Mindanao among the top ten with the highest poverty incidence in 2009. About 25-40 percent of families in these regions are poor. Poverty becomes starker along provincial estimates. The 30 poorest provinces in the Philippines are home to about a third to half of the number of families living below the poverty threshold and are mostly found in Mindanao. Most of these provinces are also considered by the government as ‘conflict-affected areas’ and are prioritized in the government’s peace and development initiatives. These conflicts stem from resource claims, particularly ancestral lands and control over productive assets, by indigenous peoples, and are reinforced by exclusion from basic public services, long histories of neglect, and ideological and/or ethnic-based conflicts. A closer look at the country’s situation shows that natural and human-induced disasters are a significant factor in poverty and vulnerability. Disasters and calamities affect the pace of development and require the reallocation of scarce resources toward relief and rehabilitation efforts. About 20 typhoons affect the country every year, mostly hitting Eastern Visayas, and Southern, Central and Northern Luzon, as well as Mindanao in the recent years. The Philippine Development Plan reported that people affected by typhoons and floods doubled from four million in 1994-1996 to eight million in 2004-2006, most of them in rural areas. Natural disasters such as typhoons, earthquakes, volcanic eruptions and the onslaught of extreme weather conditions, particularly El Niño and La Niña, are taking their toll on the people. In addition, about 30,000 to 50,000 children in the Philippines have been displaced every year in the last four years (mostly in Mindanao) because of armed conflict. These children suffer loss of security from normal family and community relationships, lack of familiarity with new surroundings, and serious psychosocial stress; they experience school disruption and have to seek refuge in overcrowded evacuation centres without adequate health, water and sanitation services. Children living in conflict areas also experience human rights violations; particularly those who are suspected of giving support to armed groups and whose parents and siblings are suspected insurgents or rebels. 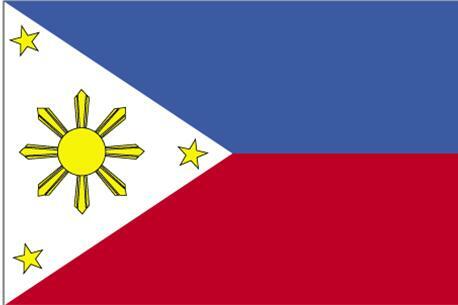 The Philippines is also home to around 110 ethno-linguistic groups, consisting of approximately 17 million indigenous peoples, who live mostly in Northern Luzon, particularly in the Cordilleras (33 percent) and Mindanao (66 percent). IPs are among the discriminated, vulnerable, and marginalized groups, as indicated by the correlation between low human development indicators and high concentration of IPs. Growing up with a back injury that progressively hunched his spine, Joefil endured bullying from other children, and even relatives. As Joefil grew older, his deformity progressed, and so did the derision others exhibited about his condition. Years later, after graduating school after Super-Typhoon Haiyan struck the Philippines on November 2013, Joefil came to work with ChildFund as an Administrator of temporary safe spaces at evacuation sites, where ChildFund initiates work in the emotional recovery of children, especially their immediate protection, and longer-term investments in strengthening mechanisms for the protection of children post-emergency. The assertiveness and leadership skills Joefil learned as a sponsored child saw him through the challenges of disability and bullying, and he reckons he can impart this resilience among children affected by the strongest typhoon in recorded history. Twenty-four year old Annie Mae witnessed the onslaught of super typhoon Haiyan on television. She was completing a post-graduate course in Hawaii at the time, and decided Disaster Risk Reduction would be the topic of her paper. Annie Mae hails from islands in the perennially troubled southernmost area in the Philippines. Eighteen years earlier, Annie Mae’s younger brother was enrolled in ChildFund’s sponsorship programme. Though she was not a sponsored child, she and other non-sponsored children all joined the different activities and workshops ChildFund conducted in their community. “The Peace-building workshops were most significant for me,” she says. “I believe they changed my life in that it positively changed the behaviour of people in my island. It made them more tolerant and appreciative of each other.” Annie Mae noted that the people in her multi-cultural island community did not fight among themselves, though armed conflict did still come, spilling over from neighbouring islands. “Still, it taught me to participate; it taught me even one voice can make many listen. And I maintain that attitude up to today,” she says. Annie Mae became distinguished as a child leader. She later became president of the children’s association organised by ChildFund’s local partner, working closely with the local partner’s staff. Her role as a child and then youth leader led her to travel from her home to represent her community, and other children, across different fora. Annie Mae even got to represent children on the board of the children’s sector of the National Anti-Poverty Commission. There she advocated the situation of children amidst armed conflict: children displaced by war, and children used as soldiers and couriers. Her work in children’s advocacy opened her eyes to factors that mitigate hazards from becoming disasters, and by the time she represented Filipino youth at the Southeast Asia Children’s Conference, her focus had matured into preparedness. Human conflict can be averted, but there’s no stopping a natural disaster; there’s only minimizing the risk hazards pose. Annie Mae remained an active volunteer through college. She did well enough to keep a scholarship, which she has had since High School. After graduating, she immediately went to work with ChildFund’s local partner for almost a year. Graduating from volunteer to full-time staff meant a lot to her; it’s what she’d always wanted to do. Jolo was a small island; however, and soon Annie Mae felt she was ready for bigger challenges. Now Annie Mae is back in the Philippines for a few months, conducting research in village-based disaster preparedness and risk reduction, comparing urban and rural models.